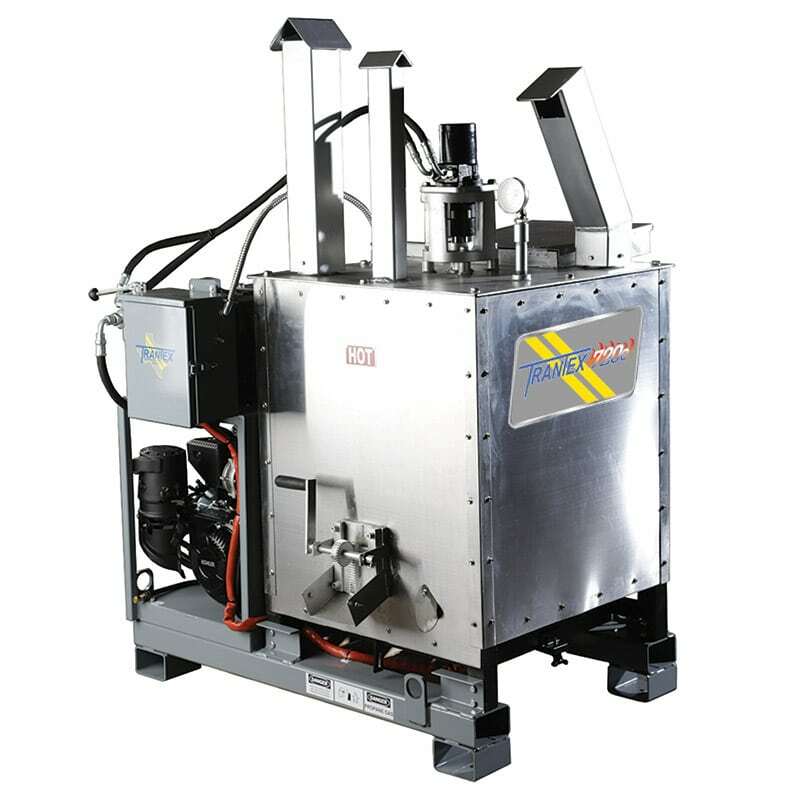 The 720e thermoplastic melter is an all-new product for those requiring a smaller packaged thermoplastic melter. As part of the 720e’s development, strict manufactured cost constraints were in place while requiring our performance goals be met or exceeded. This unique combination of thermoplastic capacity and low investment cost, makes the 720e one of the lowest cost per pound values of any available melter. A great economic value. The aggressively sized ring burner and unique concave tank bottom improves melt times so you get to work FAST. Quick access burner quickly drops down to encourage and simplify burner maintenance for optimum efficiency over the lifetime. Minimized “footprint” (42” x 48”) and reduced “empty” weight (1098 pounds) allow the 720e to be used in a greater variety of vehicles/trailers. Reliable, accurate and simple thermostat provides a safer environment and manages the temperatures accurately. Four point fork lift slots are conveniently located allowing rapid installation and removal from the rear or sides. Lift points are also standard for overhead lift use. Automatic agitation blends material while you work. Dual 720 (two color) tanks (shown image). Trailer or vehicle mounted (shown image). Customized builds by request at additional cost. The 650e thermoplastic melter is an all-new product for those requiring a smaller packaged thermoplastic melter.